If you have yet to see my description of the weekend up Bristly ridge check our both parts here and here. Despite myself taking many photograph during our walk (climb) at the weekend, my dear old dad was also snapping some lovely scenes. So I decided to dedicate today’s post entirely to the photos he took, (if you have already seen my dad’s photos in my Australia photo collection, then you’ll be aware that he’s a much better photographer than I am) so I hope you all enjoy them. One advantage of my Dad’s camera is that it takes panoramic shots (click on them for a bigger image). 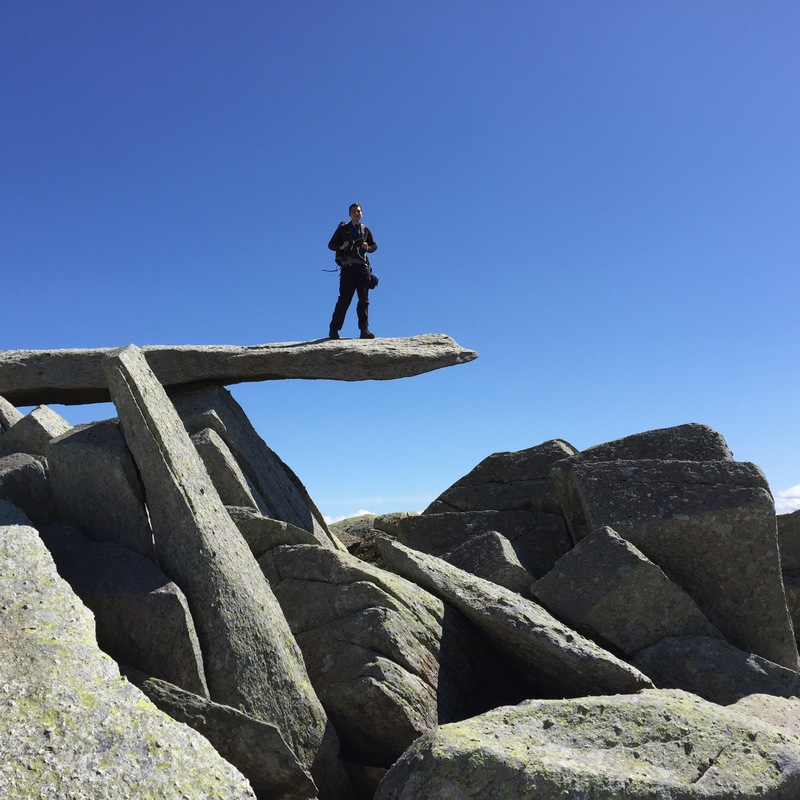 This picture was shot on the sunny shores of Llyn Bochlwyd, rising up in the background is Glyder Fach, the first summit we were aiming to conquer. Luckily we had a beautiful day for this walk, with barely a cloud in the sky. This photo encompasses almost the entire Glyderau Range, the Ogwen Valley, Llyn Idwal, Pen yr Ole Wren and Tryfan, quite a lot to fit into one picture, but amazing to see once its all there in front of you. Me, part way up Bristly Ridge, by this point we had just emerged from a nerve-racking climb up the Main Gully, which we had taken by mistake (Dads good at photos, not so much map reading). 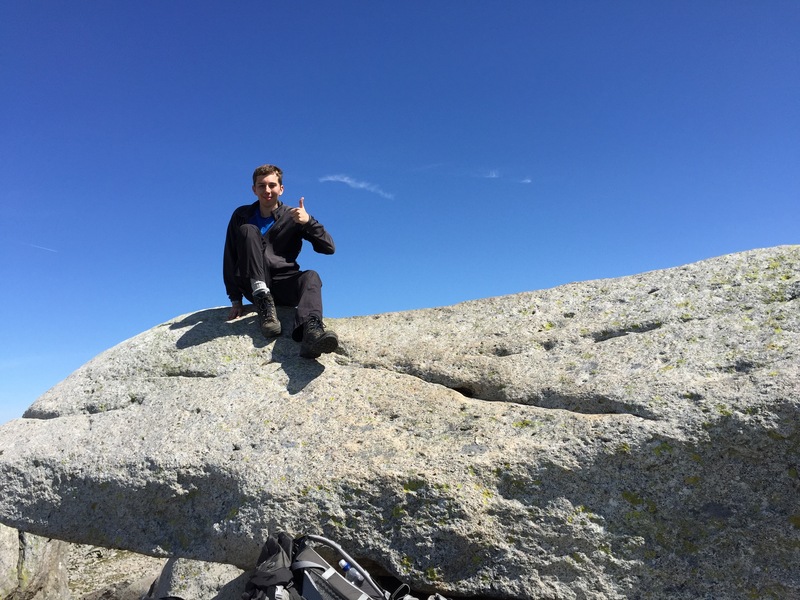 Me, sitting on the Cantilever Stone, at the time I didn’t actually have any idea I was on top of the famous rock formation, having climbed to the top of it from different angle. I had no idea why dad kept asking me to move closer to the edge, only when I got down from the stone did I realize what I’d been standing on. 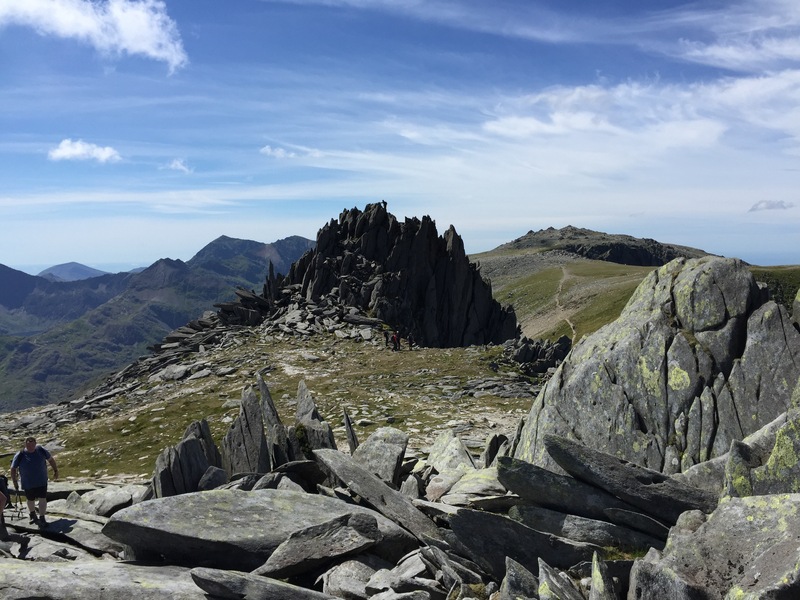 Castell y Gwynt with Snowdon and Glyder Fawr situated on either side. 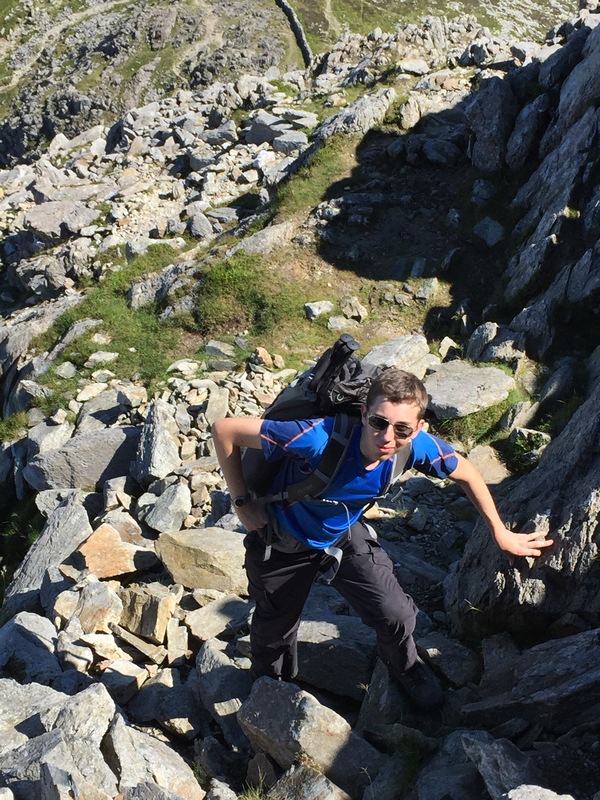 I bravely decided to ascend Castell y Gwynt, unfortunately dad refused, so photos of my triumph had to be taken from quite a distance away. 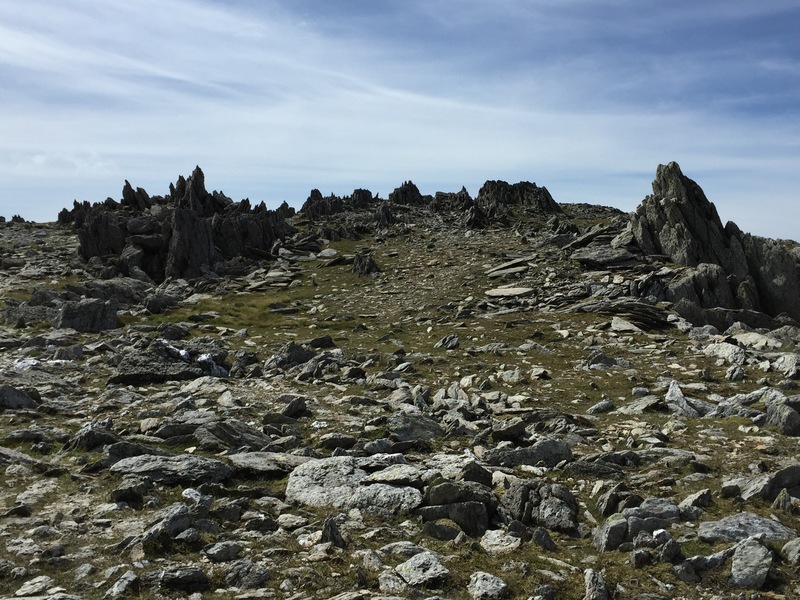 Panorama of the summit of Glyder Fawr and the rest of the Glyderau range, with Anglesey visible in the distance. 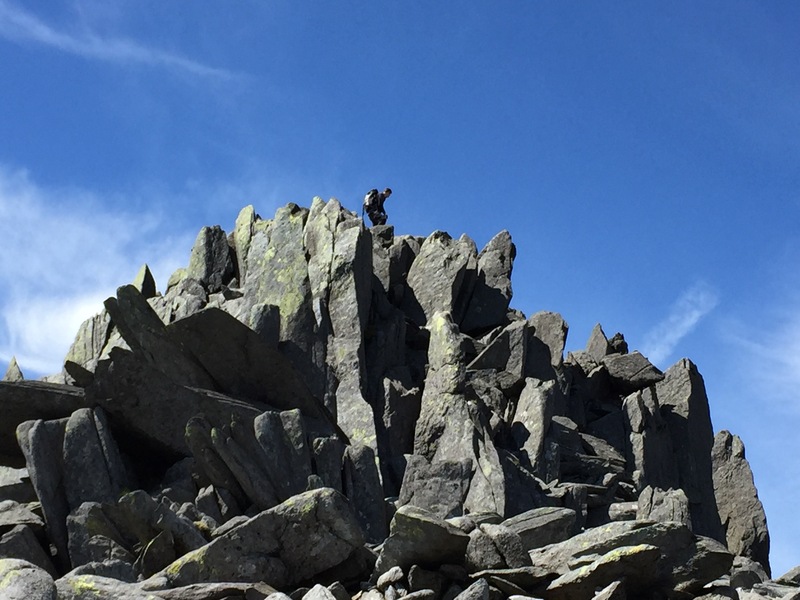 The jagged rocks of Glyder Fawr, our fingers were pretty sore after having to clamber over these. 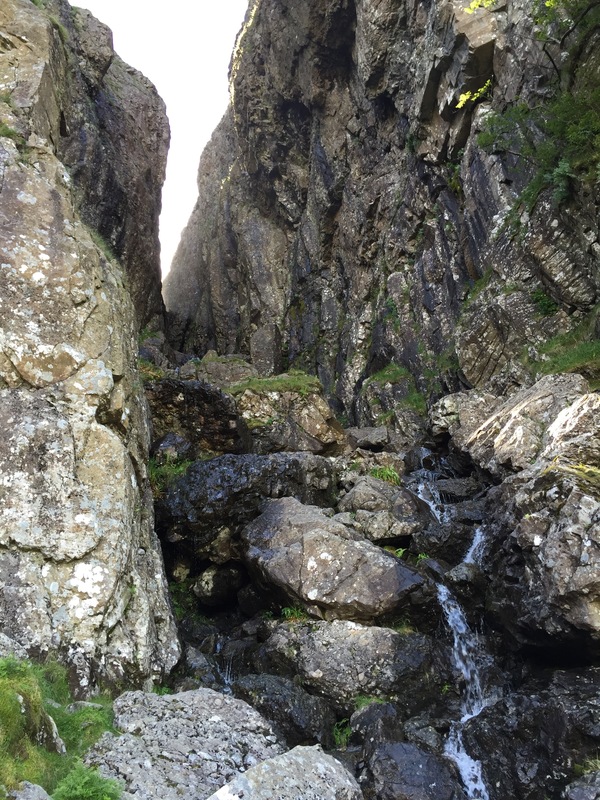 One last long look into the Devil’s Kitchen during our descent down from Glyder Fawr. Thus concludes my tale , if you enjoyed this story feel free to write in the comments, or leave like and thanks for reading. Also don’t forget to follow me on Twitter and visit me at Google+ for more updates and pictures. Or now check out my Facebook page for much more photos of this walk and more.